Follow The Cloud | Byron Howell Ministries, Inc. I was reading the book of Numbers again today when I came across a passage I had never really noticed before. Don't you love that? I know some of you have read the Bible several times through, but each time you find new treasures and receive new revelations. That's one great difference between the Word of God and every other book. The Bible is alive; it lives and will live in you. It can read your heart and speak back to you. The Bible is God (John 1:1). So when you are spending time with the Bible, you are spending time with God. So I suppose God wanted me to notice something new today, maybe because of the particular season of my life, or maybe so I could share it with you. The passage comes from Numbers 9:15-23. I really don't want to do long quotes here, but I think I should so you can see the power of this. "And on the day that the tabernacle was reared up the cloud covered the tabernacle, namely, the tent of testimony: and at evening there was upon the tabernacle as it were the appearance of fire, until the morning. So it was always: the cloud covered it by day, and the appearance of fire by night. And when the cloud was taken up from the tabernacle, then after that the children of Israel journeyed: and in the place where the cloud abode, there the children of Israel pitched their tents. And when the cloud tarried long upon the tabernacle many days, then the children of Israel kept the charge of the Lord, and journeyed not. And so it was, when the cloud was a few days upon the tabernacle; according to the commandment of the Lord they abode in their tents, and according to the commandment of the Lord they journeyed. And so it was, when the cloud abode from evening unto the morning, and that the cloud was taken up in the morning, then they journeyed: whether it was by day or by night that the cloud was taken up, they journeyed. Or whither it were two days, or a month, or a year, that the cloud tarried upon the tabernacle, remaining thereon, the children of Israel abode in their tents, and journeyed not: but when it was taken up, they journeyed. At the commadment of the Lord they rested in the tents, and at the commandment of the Lord they journeyed: they kept the charge of the Lord, at the commandment of the Lord by the hand of Moses." I don't know about you, but by the time I finish that passage I'm thinking to myself, "Enough already I get the point." When the cloud moved the people moved. When the cloud stayed the people stayed. Sometimes the cloud stayed still a long time, sometimes only a very short time. Regardless, the people followed the cloud. But what an awesome picture the Word presents here, and how meaningful for us even so many thousands of years later. 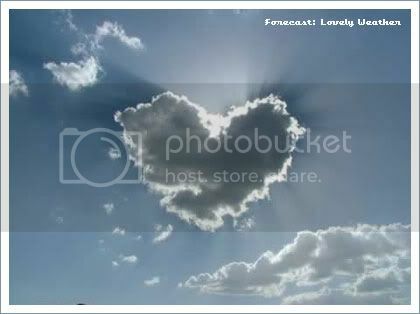 The cloud represented the presence of God. The tabernacle was the place where the priests would meet with God. But God's presence wasn't confined to the tabernacle. His presence would be outside, guiding them. God would know everything about the local terrain, and God would move them perfectly throughout that wilderness. Here the people learned to follow God's leading. We must also learn to follow God's leading. We must learn to look for Him and His direction. Then we must learn to follow. Are you happy where you are right now? Do you want to move? Are you looking for direction from Heaven? Well where is the presence of God? Sometimes my job can be taxing, but I know the presence of God still remains here, so I know it's not time to get moving. When I see the presence of God moving, then I will know it's time for me to move. And by the same token, I know that because God's presence is here, this is the best possible place for me. I can be content where I am, because I know God wants me right here, with Him. You might remember that God told Elijah to go to a certain brook, and then to a certain widow, and God sustained him in those places (1 Kings 17). I know sometimes it can be difficult to find God's will for your life, or see where He wants you to be. But I want to encourage you that God has a perfect place for you in this world, not just a spiritual place, but a specific physical place. I believe God has a city and a job and a church and an abode with your name on it. Sure you could probably go and get by other places, but only in the place God chooses for you can you be assured of His divine protection and provision. I'm glad we serve a God who so lovingly directs us. Just like the Israelites had the cloud back then, we have the Holy Spirit and the Peace of God to direct us today. We can also get dreams, visions and prophetic Words. God has no shortage of ways to tell you where He is and where He wants you to go. And God won't keep it a secret, God wants you with Him and in the proper place more than you could ever imagine. Glory to God. So seek the Lord. Don't get out ahead of God, but also don't get left behind. Follow God's presence, and you'll always find yourself exactly where you should be.